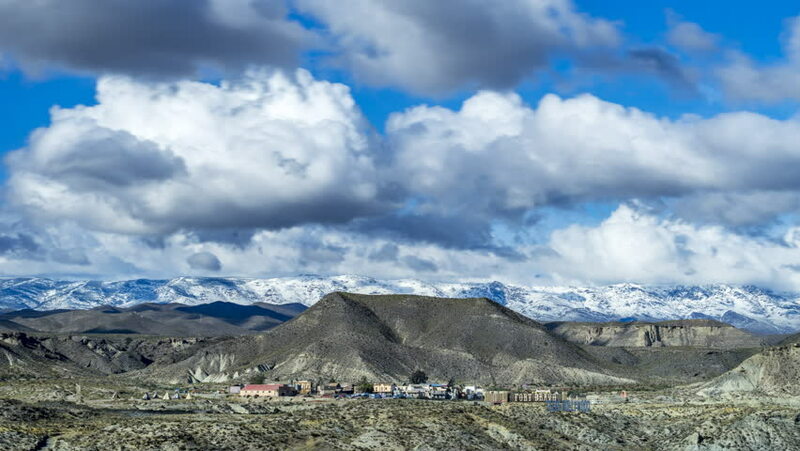 Timelapse Almeria West dessert Tabernas, Clouds moving along a western city background. Love this unbelievable west Andalusian landscape. 4k00:29Apen, Colorado with DJI Mavic Air. 4k00:22A true tourist attraction on a timelapse video of Glacier Mountains from the field with a cloudy sky on the background.